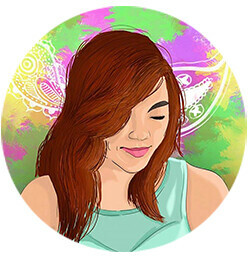 Last weekend, I got to visit the Katipunan Weekend Market located at UP Town Center. I'm a southie so visiting UPTC was kind of a breather for me. When I saw Magnetic Poetry MNL's booth, my face just gleamed and it's as if another dream has come to life. You may think I'm overreacting here but it's true. I really wanted to get a kit for myself ever since but situation and priorities didn't meet each other. So off I went to their booth and inquired how much a starter kit costs. After I paid Php 400, I saw them get a tin can from the stack of starter kits. Also, they gave me a Matcha cookie as a freebie as well. When I went to my friend's home, I saw the sticker on the back of the tin can. The sticker says "expansion". I started to feel like something's wrong because it might be an indicator that the words inside are under the expansion kit. 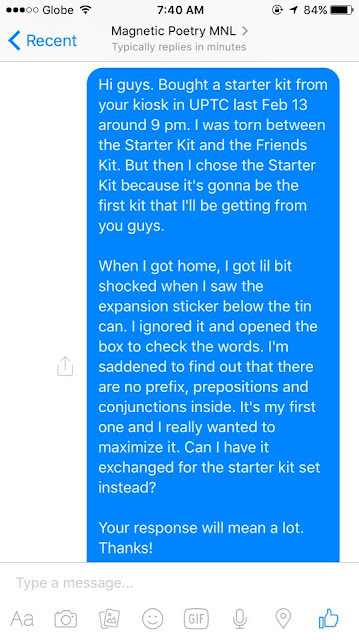 I opened the tin can to observe if the words are the same as the ones on the expansion list online (thanks to the list of words per kit on magneticpoetrymnl.com). 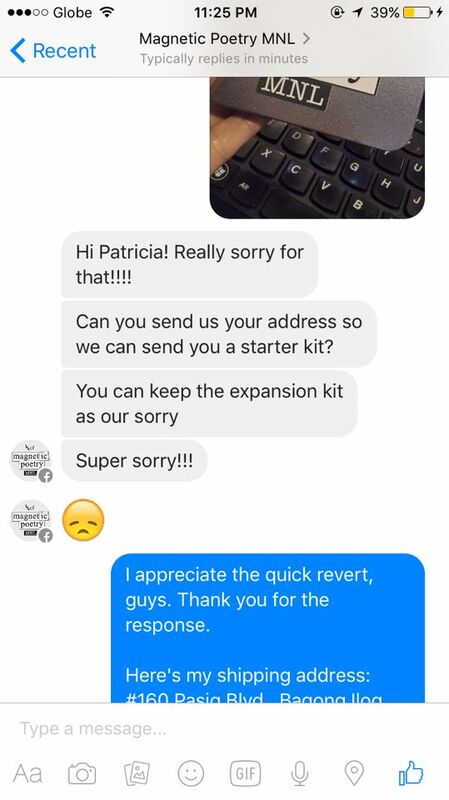 And yes, it's confirmed that I got an expansion kit instead of a starter kit. I took the situation on Magnetic Poetry MNL's Facebook Page to gave them a heads up. All I wanted is to exchange the expansion kit to starter kit, so I messaged them up. After two minutes (yes, two), I was given this response. I would like to commend thee owners of Magnetic Poetry MNL for an exemplary customer service. At first, I thought my message would be ignored and archived, but it wasn't. You had a quick response to the matter and owned up to this honest mistake. Thank you so much for making a customer feel so valued!